Kurdish activist Memed Aksoy was recently invited by the Tri-Continental Anti-Imperialist Platform to speak on the Rojava revolution and the historic resistance of the Kurdish people in Kobane. The inspiring event was dedicated to the life and works of Assata Shakur and featured contributions from Black Panther activists and spoken word artists. You can watch Memed’s presentation at the event below, and videos of the whole event can be viewed here. Reel News documents last weekends huge demonstration in central London in solidarity with the resistance of the people of Kobane. 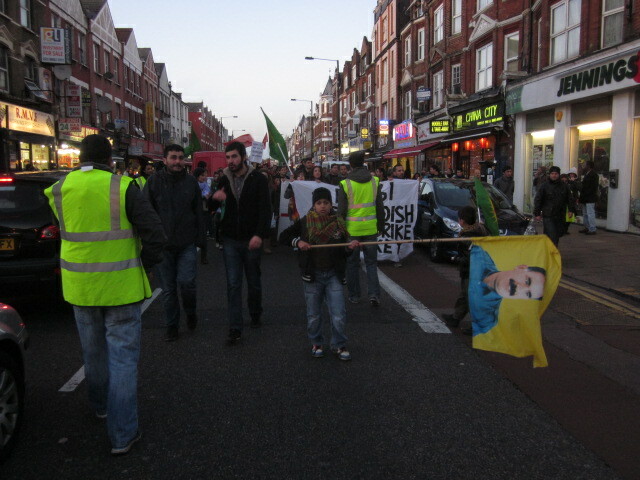 Speakers on the day included Stop the War Coalition’s John Rees, Peace in Kurdistan’s David Morgan and Memed Aksoy, member of the Kurdish People’s Assembly. The significance of the continuing Kurdish struggle for the future of Turkey and the Middle East as well as its implications for politics in Britain were issues on the agenda at the Marxism 2012 conference and festival which took place in central London on 5-9 July. A seminar, organised by the Peace in Kurdistan Campaign as part of the Marxism 2012 programme on 7th July, brought into focus the plight of Kurdish activists within Turkey and drew attention to the key democratic demands of the Kurdish movement. We are pleased to bring you news that the Kurdish Supplementary School in Islington (KSSI) will start this Sunday.